Aivn is a guitarist, singer and songwriter from the Czech Republic. He currently fronts his new band Aivn´s Naked Trio, indulging in rock & soul with tight blues balls. The debut EP "Manhattan Coda" was released in 2010. He is also known for his guitar work for the cult rock n' funk n' roll band Annie's Trip and modern blues group Zastavarna BB. Both bands released their debut albums in 2009: Parisian Jazz (Annie's Trip) and Stereologue (Zastavarna BB). Annie? Trip´s record "Parisian Jazz" made it to the Top Ten Czech albums of 2009. With Annie's Trip Aivn toured UK, Austria and Poland, opened shows for some of the most important icons of the Czech rock scene and did very well in prestigious competitions. Aivn also gets invited to guest on other bands' projects, either as a player or as a producer. 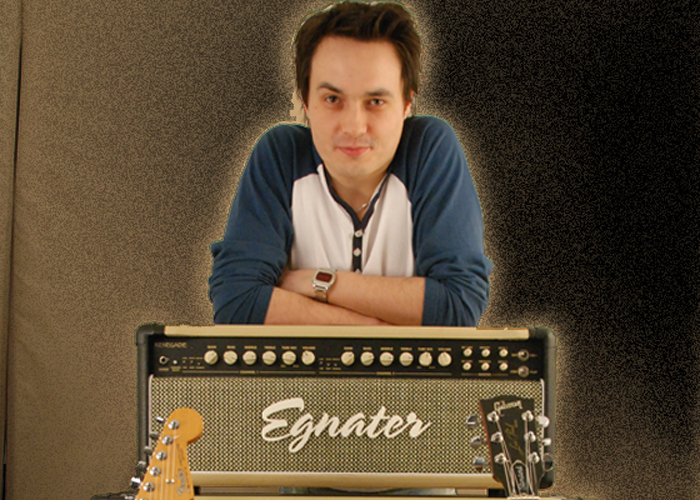 In cooperation with the Audiotek Megastore company, Aivn has introduced a series of his guitar workshops at which he presents Egnater amps and other interesting novelties and trends on the guitar market.